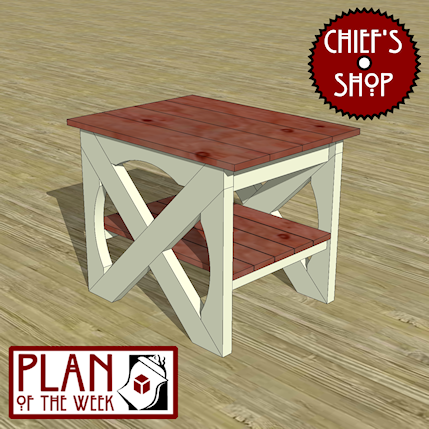 The Chief’s Shop Deck Side Table can work for any side table application, either indoors or out. The curved designs gives it a unique look, and will impress anyone admiring this project. You’ll need a table saw, miter saw, jigsaw, drill driver, and Kreg Jig to build it.